I have always been into imports ever since I was a little kid. Dreaming of the day I would obtain my license I counted down the years until I was able to start driving. As lame as it kind of sounds, I was first introduced into drifting when FAF tokyo drift came out. I was in eight grade, I never had a home computer, so this was the first time I had ever seen anything drifting related. It was at this point I would go to my friends houses and use their computers to find anything with a car skidding around. fast forward three years, it's 2009 and I am a junior in high school and have my first and current 240sx that I finally was able to 5-speed swap and could start playing around in. 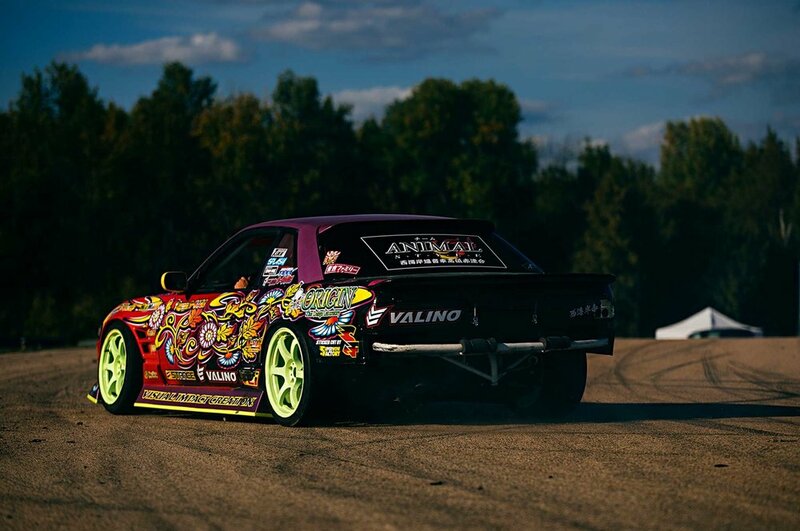 I started playing around in business parks on sundays when no one was around, and from there started attending Thunder Drift skid pad days very regularly. It was at Thunderhill Raceway and my very first skid pad day that I met my very good friends and teammates Julian Jacobs and Alvaro Pulido. After that day I basically started inviting myself over to come hang out with them since I had discovered that they only lived about twenty minutes away from me. Julian had later given me the nickname "baby" Jason because I was always the youngest one in the group at that time working on cars and hanging out. When I started I wanted to just be good at driving and have fun. 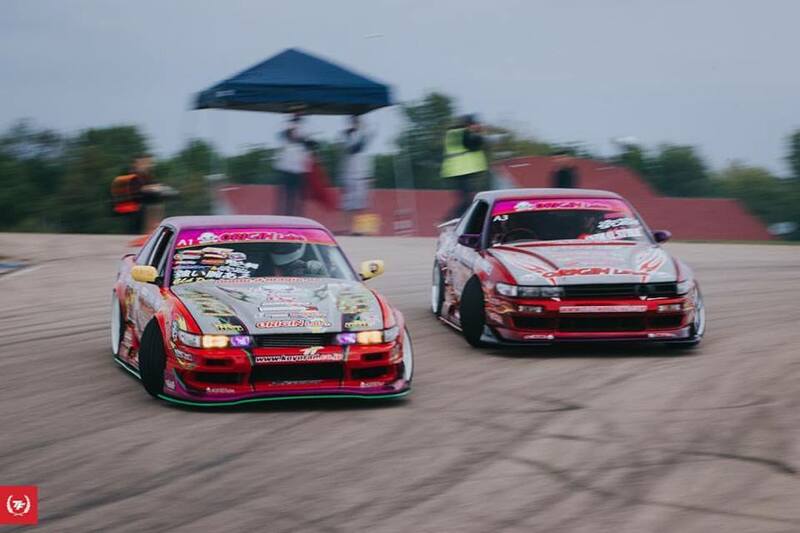 As I progressed with my capabilities, I started doing comps very regularly with the intent of trying to make it in Formula D. It is funny to look back at it now and think that at the time, Formula D was the end all be all in drifting for me. I ended up obtaining my License in 2011 at nineteen years old and quickly found that I definitely didn't make even close to the amount of money needed to run a professional sports program. In addition to that I got mixed up with some shady shops that set me back monetarily with some very poor work on the car and two bad engines. This was my lesson in how to build a car from the ground up as I basically had to start from scratch and learn how to build a car by being forced to fix other shops mistakes. Long story short my FD license had expired just after I finally got the car back together in 2013 with the current SR that I still run to this day. My mindset went back to wanting to just focus on my driving and having fun with my friends and team, and the goal of wanting to be a FD driver went out the window. 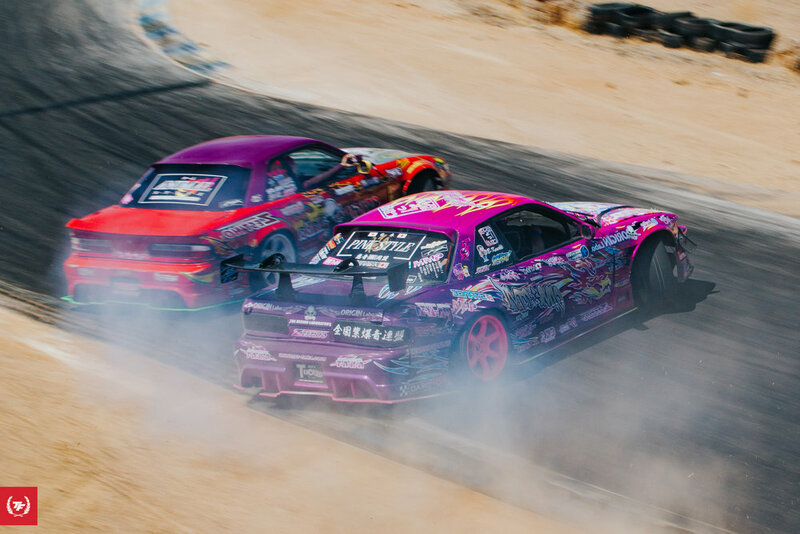 Ever since I went back to the goal of being the best driver I can be and doing events with the team, It has allowed myself to meet people from around the world, drive tracks I never thought I would, and instill an even deeper love and appreciation for the sport of drifting. 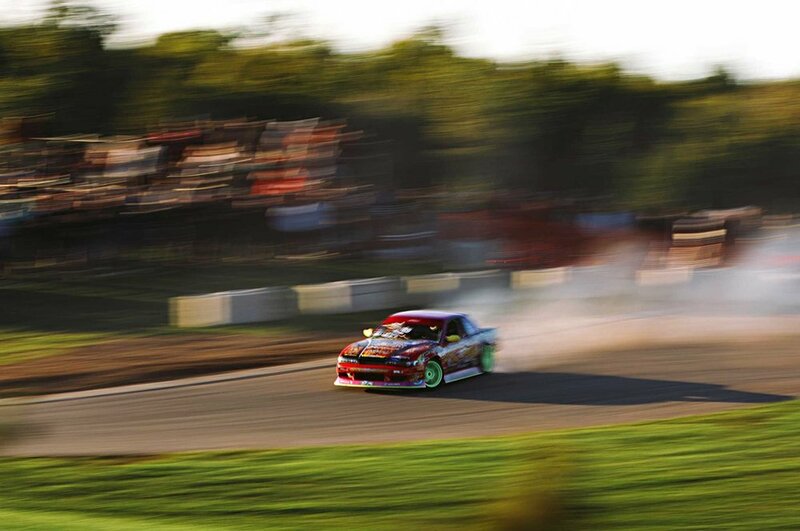 Originally I never had a certain "style" in drifting. I always just modded the car with parts and aero I found for cheap that looked decent, and for driving technique I just went with what felt good. But the more I hung out with Julian, the more I was drawn to the Japanese style of aesthetics and driving. Julian has always been into more of the Japan scene and would always find really cool touge and Meihan videos to show me that I had never seen before. It always fascinated me to see people throw the car into a turn with such aggression, followed by snappy transitions. the ones to always do it best in my eyes are those from Burst and now Pinkstyle. From then on I started looking more and more into how certain aero pieces compliment one another, and after meeting my good friend Michael Biglands (Dmagic), he really opened my mind to how various color combos and designs can really make the car a work of art. 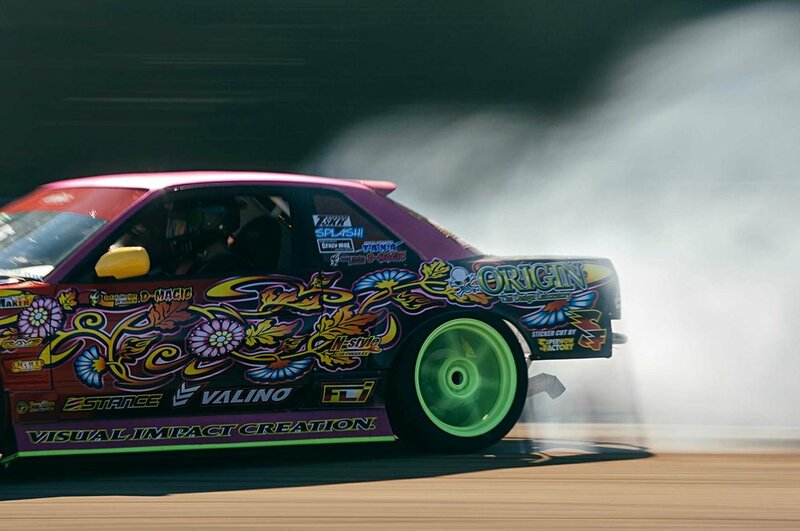 In a long winded explanation, Julian inspired me to be inspired by the Japanese way of car tuning and drifting, while Michael inspired me to keep thinking of the next crazy color combo that would keep me entertained with the look of the car. I'm terrible at writing about myself, but in the end, Drifting and my team means the world to me. It is simply a love and passion that I plan to do for the rest of my life. I am grateful for any and every opportunity that I get to share with my team and hope to always progress with my driving! Wheels: Wheels same, tires Valino pergea 08R 235/40/17 front, 265/35/18 rear.